Always remember that you are the center of influence in your network. Even if you have a great dream-team, you remain the leader of your team that will exert the key influence in creating your network. 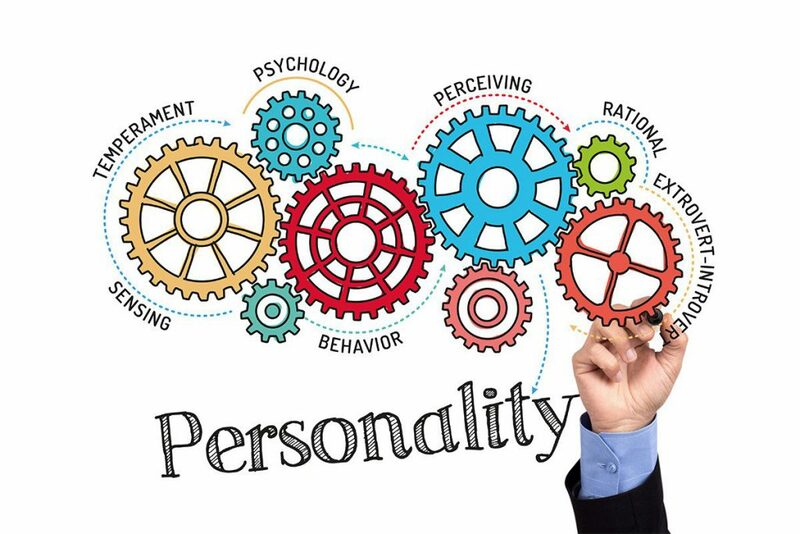 You have to develop the traits that help influence your network: you have to make yourself immensely likable and radiate positive energy, and your personality and eye contact should radiate warmth and friendliness. Develop a personality that is always looking to help others grow in whatever their endeavor or goal may be in life, and always be willing to give and add value without any hope of reciprocity—that will make your influence grow. Integrity, integrity, integrity. There is no substitute for integrity. Never promote an idea, service or goods to your network that you are not using or have doubts about. You cannot fake and build a network. Be yourself and act honestly. You will attract the right kind of people into your network, which will help you grow in leaps and bounds with their support. Ethical leverage is essential in networking. You have to use your contacts wisely. If you try and use your contacts without thought of return on everyone’s time and effort, then you may succeed in lifting your load, but your strategy, in the long run, will fail. Your network will collapse. I get hundreds of emails every month from internet marketers trying to promote affiliate products. It is very easy to find out a fake promotion coming from a person who has never used a product or has very little knowledge about it. I immediately unsubscribe from the list of those who try and promote such products. On the other hand, I continue to be on the list of those who email me information that is of value to me and, at times, buy products on their recommendation. Pay It Forward- Assist 3 people to succeed and in return of what you do for them, request them to help 3 others. This is leverage. Share the Rewards- Share the rewards of your success and prosperity with all those who are involved in your network. If you are honest, genuine and helpful your sphere of influence and network will grow. 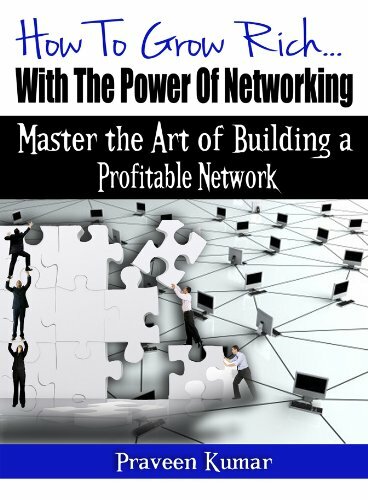 Your network, if built correctly, will, without a doubt, make you rich. In building a network, it is not a necessary condition for you to know thousands of people, to begin with. 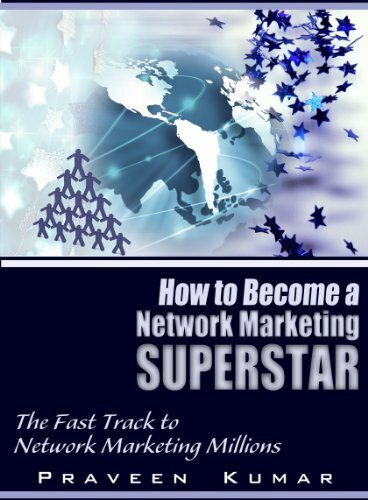 You initially have to start building a network by adding one person at a time. 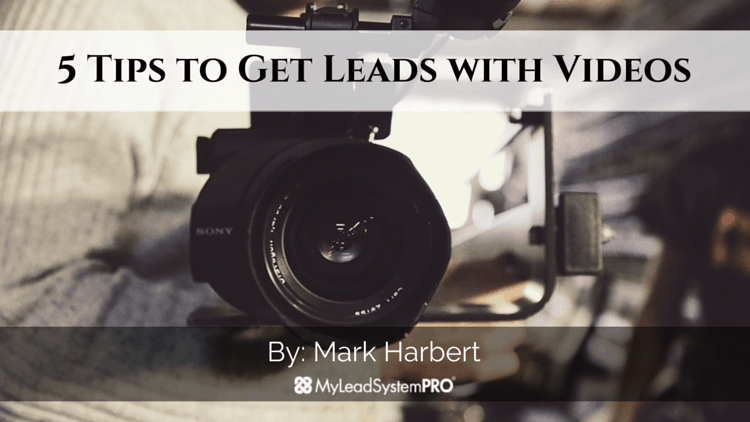 This is a very slow process at the beginning, but as you add value to your network, more people will gravitate towards it through word-of-mouth advertising or referrals. 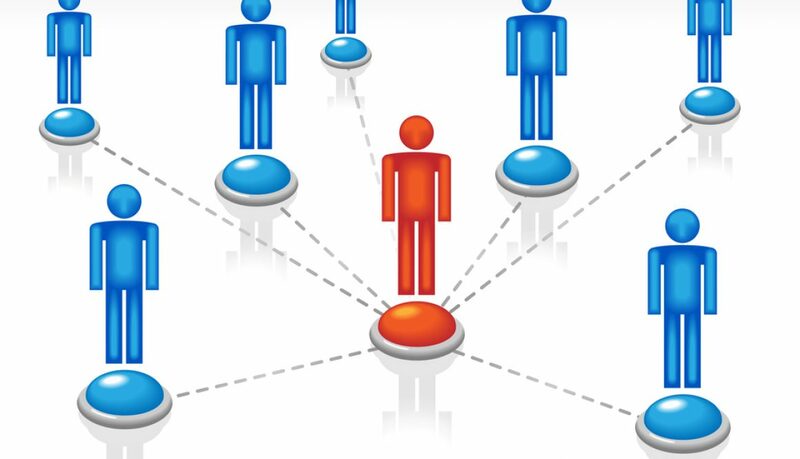 Sooner than later, key contacts who have large networks of their own will start taking note of your network. And before you know it, you will find a key contact who controls a large network of people. To build a large network, you don’t have to find just one key contact but several key contacts. 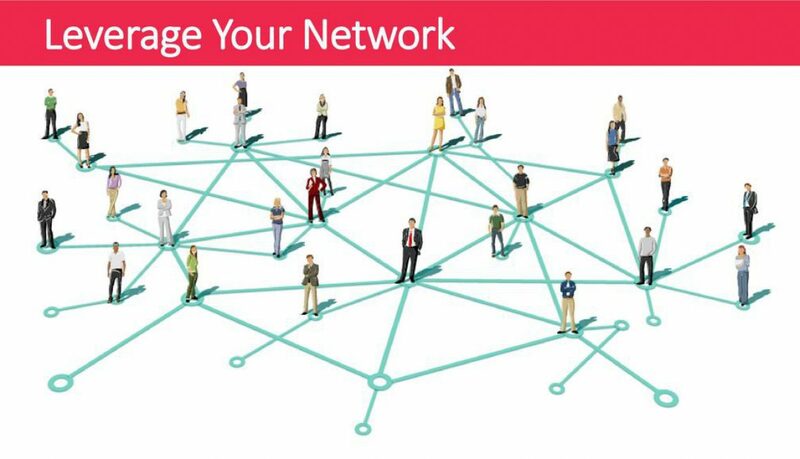 The value of your network is the square of the number of people in it. To find your key contact you will need to network with a large number of people; this will increase the possibility of finding the one key contact who will not only increase the size, but also the value of your network hundred fold. The only way to build a large network is through consistency. Examine your list of contacts critically and focus on those who have large networks and yield the maximum influence—make a special effort to build relationships with them and spend your time maintaining them. 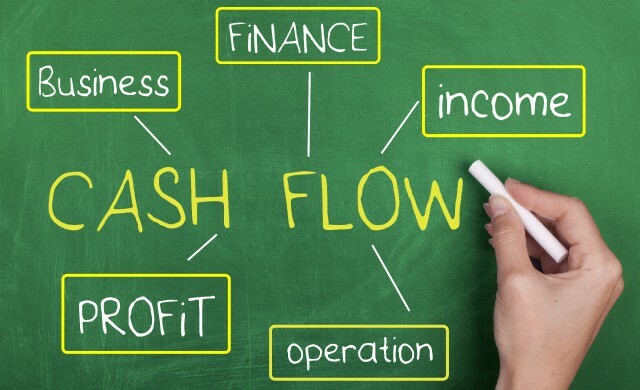 If they endorse your product or service to their database, your profits will multiply. The two aspects that increase the size of your network quickly are: what value you provide to your network and how many key contacts you can bring to your network. You don’t have to look too far; just look at the phenomenal growth of Google and Facebook! They provide invaluable services to their clients for free and as a result, have millions of subscribers joining them every month. This results in billions of dollars in revenue to these companies. If we can replicate even a little bit of their strategy in building our networks, we can become rich very quickly. Most people believe that it is important to have people whom they already know and have strong ties with, which will make their network stable and help it grow but nothing can be further from truth. It is your weak ties, or the people whom you don’t know so well, that brings growth and new impetus to your network. The reason for this is simple—the people who are close to you have much in common with you. They share the same value system, experiences and similar view points. The information they possess is already known to you and is of very little value to you. Your weak ties, on the other hand, bring fresh perspective and new ideas. 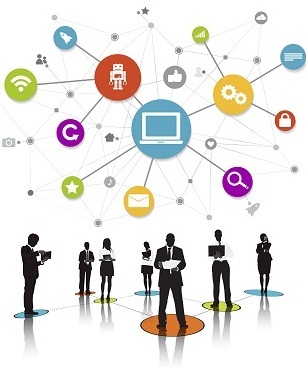 It is imperative to keep in mind that it is your weak ties that add value to your network. In addition to that, your weak ties will bring in a new circle of influence with their own set of friends and relatives to your network. In all likelihood, your inner circle of friends will not contribute towards the growth of your network to the same extent due to the limited number of new members they can add to your network. The most influential people who will increase the size of your network are the ‘connectors,’ who are masters of those weak ties. 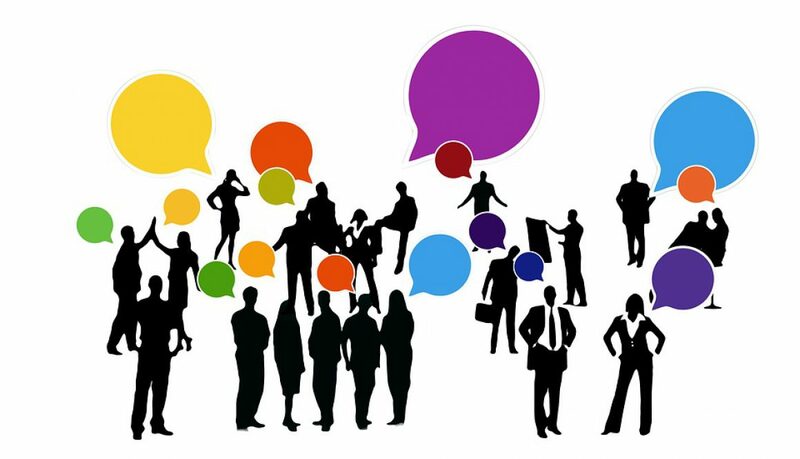 These connectors have the energy, the self-confidence and the social attributes to connect with a large number of people—their special gifts create large networks of weak ties. To give an example, if you have a network of real estate investor clients, it may be worth your while to collaborate with a mortgage broker who has a network of clients who borrow money to fund their real estate. You can also collaborate with accountants and attorneys who have a database of real estate investor clients—by giving cross referrals, all the key players can increase the size of their networks. 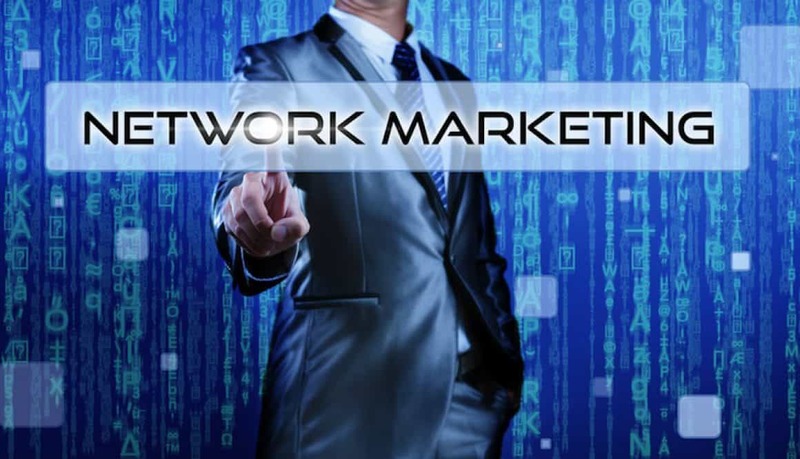 These days, it is relatively easy to find related networks by doing a search on the internet and building a relationship with the key players in those networks. The people who operate large networks understand the importance of increasing the size of their network by collaborating with other networks. So, don’t be shy in approaching these people. If you take this one step further, those 40,000 people will have their own spheres of influence of 200 people each—the possibilities are endless!